Buying your first home and real estate property is a huge move for most people. It’s probably the biggest purchase they’ll ever make. The large amount of debt they’ll have, along with the monthly mortgage payments, will lock them in to a home, neighborhood, and city in a way an apartment never could. While your realtor may be helpful, there are always things a first time homebuyer will end up wishing they had known. Here are a few of the biggest surprises I’ve found in our first four years of home ownership. While it may not be common, it’s still quite possible for an inspection to tank your hopes of buying a specific home. When we first began the process, it never really occurred to me that people could hide so much damage quite so well. We were well on the way to closing on TWO separate homes, both of which were stopped cold by inspection reports that were just DISASTERS. There are a lot of unscrupulous people out there who will throw a coat of paint on the walls and hope you don’t discover the termites, foundation problems, or bad electrical work. Your inspector is your best friend. Losing each home cost of several months in the process, and our apartment lease actually ran out. We ended up living with friends temporarily while we tried to find a place. It was incredibly inconvenient, but a good inspector is worth his weight in gold. You never want to move in and found you’ve bought a money pit. You don’t realize how much a few major expenses can add to your annual living expenses budget. Our home is older (1960’s) and I promise you will underestimate the cost of the little (and big) things that come up. In the first year we had to replace the roof ($6,500), a pool pump ($500), and our new fridge broke ($250). You also forget the small things like pest control, tree trimming, old windows and the many small things that can break. In an apartment all of these things get handled magically and you never see the time or cost. 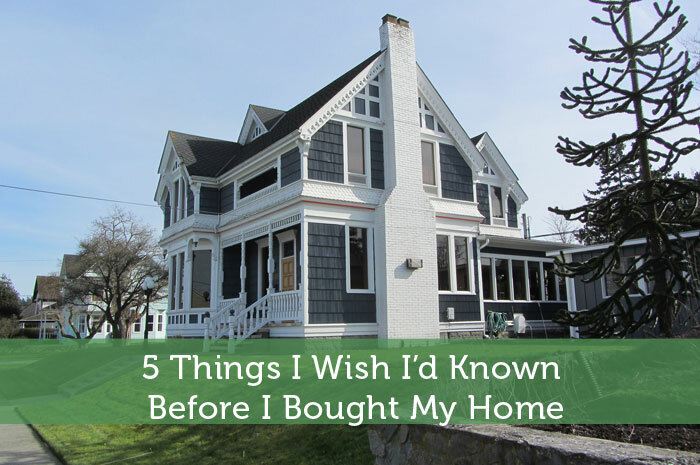 All of these things will add up, in addition to the cost of the house. After years of living in an apartment, I forgot how much you spend just keeping a home presentable. It’s larger, so there’s a heck of a lot more to clean (and clean and clean). Mowing and edging a yard is a solid 3-4 hour weekly or bi-weekly project, and cleaning the pool is frequent task in a place like Houston. In the middle of a Sunday where I’m busy catching up on all the work, rather than enjoying the pool, I often think how nice it would be to be back at the apartment with its maintenance free grounds and nice pool. This doesn’t even include all the DIY projects, like the 3 day weekend we spent painting the kitchen and downstairs or the many weekends spent on the yard and garden. Depending on where you live, this may not be as much of an issue; but here on the Gulf Coast, utilities can run high. In a smaller apartment, as a part of a much larger structure, utilities tend to run low even in the dead of summer. Our first set of summer utility bills almost gave me a heart attack! It’s not uncommon for our 2,300 square foot home to run a $400 electric bill, June through August. It’s definitely a budget buster that I never accounted for when determining what type of home and the cost associated with it. If you want perfect, I suggest you buy high-end and new; or better yet, build your dream home. Otherwise, all the little things that you noticed when you moved in are going to be there a whole lot longer than you think. I remember doing the walk-through of the home and thinking, “This works, but there are a lot of things I’ll change.” Famous last words. If you are on the financial independence journey, you will be living with those things for a long time to come. 4 years in to owning our home, we’ve improved a few things. We painted, landscaped, decorated, but that wall I want gone? I still haven’t been able to justify the expense of removing it. The bathrooms I wanted to remodel? Still looking 60’s chic. Buy as close to exactly what you want day 1, or be prepared to live with it. Author Bio: Adam Chudy is a writer, analyst and investor living in Houston, Texas. Ah the joys of being a home owner. The issue that I have run into now is that I have all of these projects that I want to get done, but I really don’t want to do any of them anymore. Now I prep the project, and then hire some guys to come and finish it. Not the worst strategy Scott. I’ve paid for a few things myself. Ahhh, the joys of homeownership! Been there, fixed (paid to have it fixed) that. No doubt that homeownership can be great; however, you have to go into with eyes wide open and manage your money in such a way as to not go broke between the mortgage payments, monthly (e.g. utilities) payments and ongoing maintenance costs. Utilities were a real shock to us. I had no idea an electric bill could be over $400 from a conservative user. Old house, old insulation, 1 AC and 100+ weather disagreed. Owning a home is also very satisfying……completed DIY projects can be looked upon with pride, and you can make the home look exactly the way you want it to! I definitely feel pride in my finished projects, but they substantially exceed both my time and ability with a home from the 1960-70’s. I compromised and bought a condo…some of the advantages of home ownership with some of the advantages of an apartment, but some disadvantages as well. Everything in life is a trade-off, but it sure helps to know what you’re getting into. Pretty good advice, I think no matter how prepared you think you are for buying a house, there’s always something you didn’t think of. I’ve bought two so far and had a lot of help on preparing for both but there’s always one detail I miss. I agree sometimes your better off just buying something new and to your liking. Both my homes have been foreclosures and even though I could envision what they would be like once remodeled I forgot to take into account the cost and work needed. Next time I buy a home it will be built to my specs. Cost will be almost the same as buying a fixer upper. Great list! Putting 20% down can really make a difference as well. We didn’t even though we had the money and it cost us dearly. Nearly 251$ per month for PMI and then we found out we were in a flood zone. So tack on a few hundred for that as well. But buying a home in some cases is a lot better than an apartment. Just really depends on your situation. We are selling our home now and it looks like we are going to make a great profit. You never really can be 100% prepared. There are even costs with new homes.